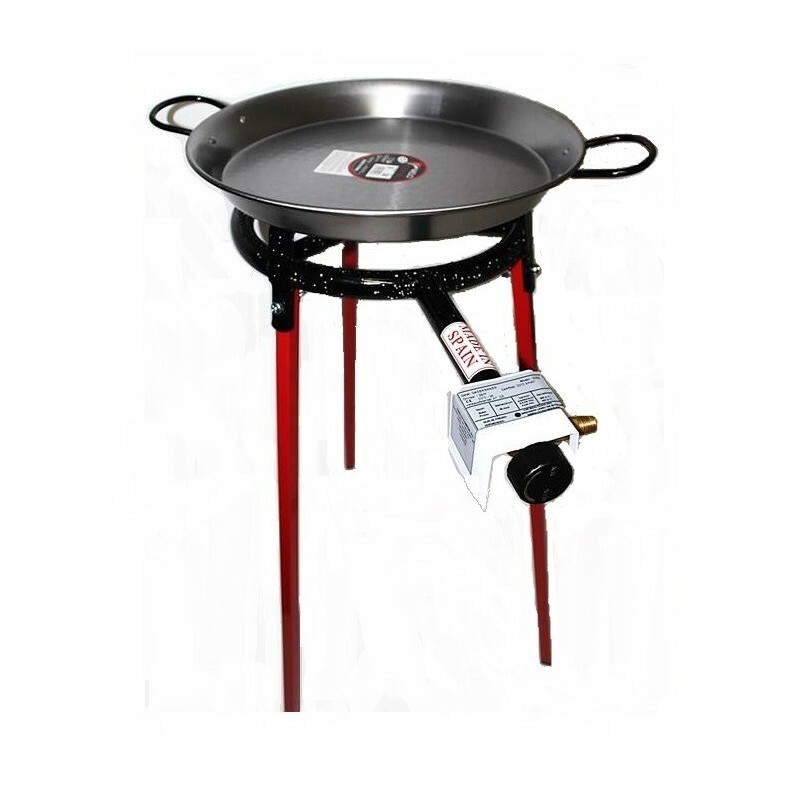 Paella gas burners are used like fire diffusers, so that the fire can be regulated under the paella pan, frying pan or any cooking pan. This ring features three inner spokes which ensure the heat is evenly distributed over the base of the pan. It's compact size makes it ideal for camping trips. 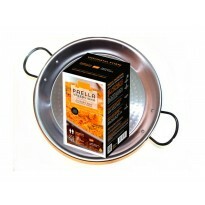 To cook comfortably you can use the set of 3 legs as support of the gas burner. Runs on NATURAL GAS/ BUTANE/ PROPANE/ CAMPING GAZ (When ordering, please specify the country of destination and the type of gas).